Na Na Na Na Na Na Na Na Na Na Na Na Na Na Na Na Na Batman .... Day! 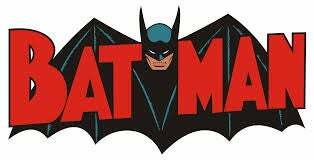 This week DC Comics will partner with comic book stores and libraries all across the world to continue the 75th Anniversary of the Caped Crusader. Comic shop events will be held on Wednesday July 23rd. The events will feature giveaways of the Detective Comics #27 Special Edition which the company describes as "an updated take on the comic that first introduced Batman to the world." There will be other swag available ranging from collectible bags to four different masks that celebrate the Dark Knight's many looks. On Saturday July 26th the festivities will continue in libraries across the United States. Sorry, rest of the world. The libraries will also be giving away copies of the Detective Comics #27 Special Edition just in case you can't get it on Wednesday. Or maybe you want to lock an extra copy away in a vault with your poly-bagged copy of Superman (Vol 2) #75. I won't judge. The DC Comics website has all the rest of the details along with maps to help locate a participating bookstore or library near you.